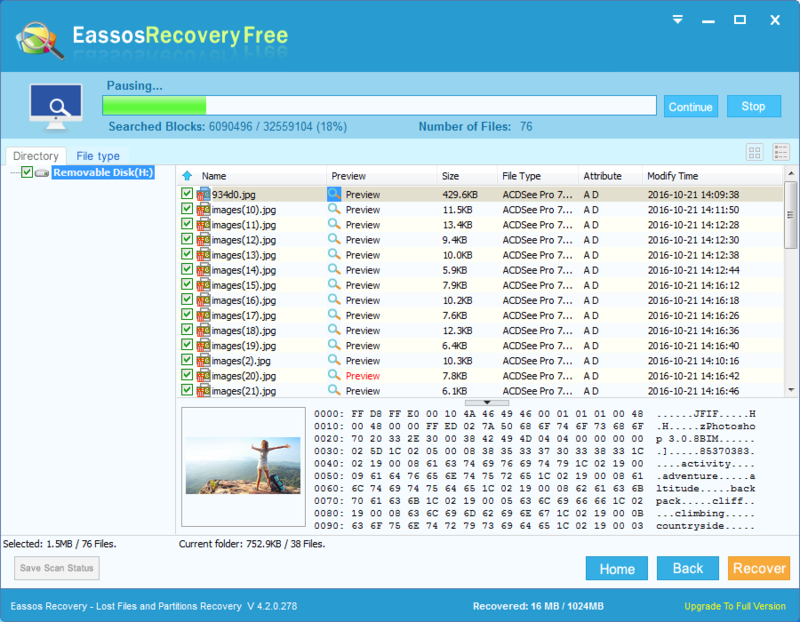 This article includes content about data loss and recovery, more specifically, data loss situations, actions against data recovery, recover lost data, etc. You can refer to this article to better protect your data from damage or loss. Data loss happens to computer, cellphone, SD card, USB flash drive, external drives, CDs, etc. thus it’s possible that most of people have or are going to experience data loss problem. Data can disappear in various ways as there are numerous causes that can lead to data loss from storage devices. File on a memory card might be lost if it is physically damaged. Same thing can happen to a corrupted USB flash drive or simple accidental formatting. CDs or DVDs are easy to get scratches and turn to unreadable. Computer hard drive also suffers from file loss if it has server bad sectors or other mechanical problem. Smartphones, including Android phones and iPhones, loses data after restore factory settings, update system, refresh ROM, etc. Apart from physical problem device may have, human operations such as deletion and formatting are major file loss causes. When hard drive failure occurs, it’s important to analyze situation carefully. If files in the drive are important to you, you should start hard drive recovery as soon as possible. 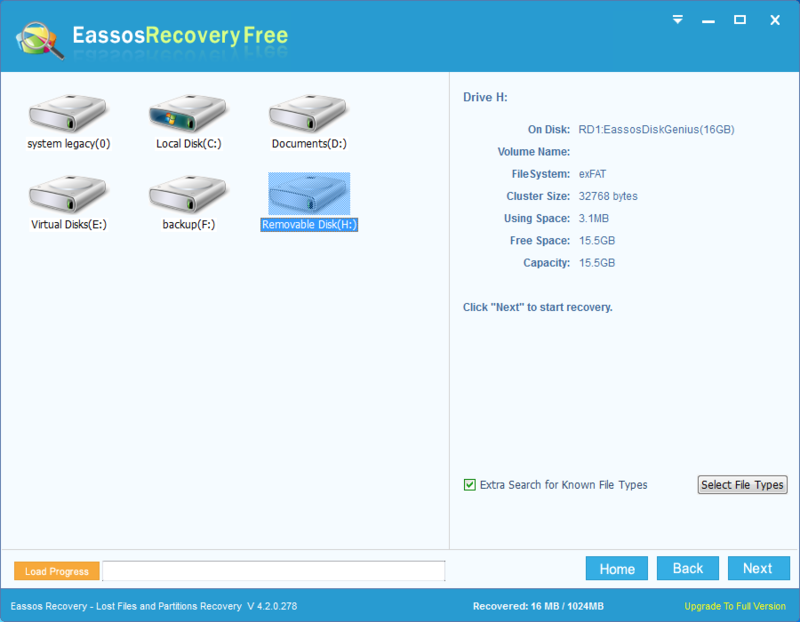 Hard drive recovery software is able to handle most of data loss issues as long as the drive doesn’t have severely physical problem. If hard drive can’t be detected by computer, you have to send it to a professional recovery center to recuse data. Other attempts like formatting an inaccessible partition doesn’t help in restoring data. 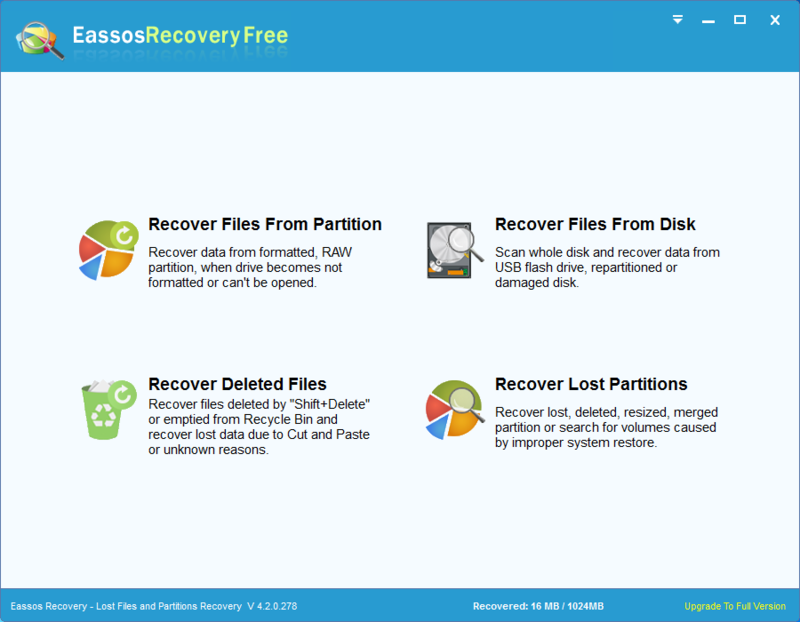 Not having rich experience or knowledge about file recovery won’t be barrier to getting back missing data, for many hard drive recovery applications are easy-to-use. There are some matters you should pay attention to before it’s too late. Smartphone users are users to install system updated as soon as they see an update prompt, but they seldom backup data even though many phones provides backup feature. It’s very crucial to backup data before performing any action related to system. A failed update may lead to losing everything, not allow operations like restore to factory default settings. A lot of people have misunderstanding about data recovery. They believe any lost files can be recovered successfully by data recovery software and do not have concept about file overwrite. In fact, however, it’s very important not to use the device before lost files are retrieved, because using it will overwrite and damage lost data. 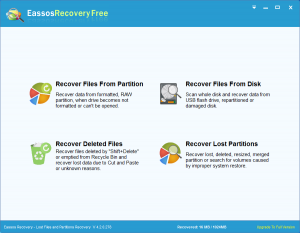 Step 1: Launch Eassos free data recovery software and choose proper data recovery mode. Step 2: Select the drive or partition where lost files were stored and click “Next” button to move to next step. 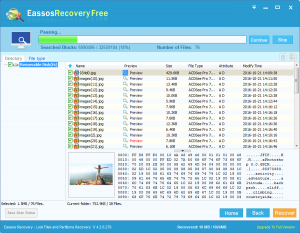 The software will quickly scan the drive to list recoverable files. Step 3: Preview recovered data and check quality. Select those you want to recover and click “Recover” button to save them to a specified location. 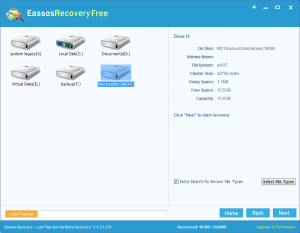 This entry was posted in Data Recovery and tagged data recovery software, Eassos Recovery Free by EASSOS. Bookmark the permalink.